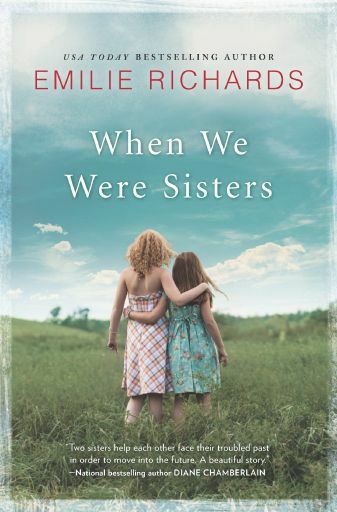 Yippee, it’s launch day for When We Were Sisters! Today When We Were Sisters arrives at stores. Those of you who pre-ordered from online bookstores like Amazon or Barnes and Noble will probably find your copy in the mail or on your e-reader today. I hope you enjoy it. Would you like an autographed copy? I remember saying not too long ago that I was finished with my Writing Process 2015 posts, because, hey, it’s 2016. What I didn’t take into account? The book I wrote in 2015, the one I detailed in all those posts, will be at bookstores on June 1, 2016. So while the year has changed, When We Were Sisters still consumes a substantial amount of my 2016 writing and thinking time. The Writing Process 2015: Resolutions For the New Writing Year. If you’re new to The Writing Process 2015, these posts are a chance to share my journey through my latest novel, starting at ground zero. 2015 will be over soon, and so will this category of Southern Exposure. I’ve so much enjoyed recounting a year of work on When We Were Sisters with you. My deadline was November 1. This was a carved-in-stone, don’t-you-dare-be-late, the-heavens-will-collapse deadline. I turned in When We Were Sisters exactly on time. It’s now November 17th and the book seems to be happily napping, all curled up and dreaming about its June debut, somewhere between “written” and “edited.”Am I surprised? Unhappy? He (it’s usually a he) ripped the paper out of his machine, stuffed it, along with a huge stack of similar pages, into a manila envelope and that was that. A day late here. Blogger writer’s block? Quite possibly. Why not my blog along with everything else? Don’t worry, I’m not poking fun at my fellow writers. The Writing Process 2015: Do We Need A Happily-Ever-After? As I head into the final section of When We Were Sisters, the ending is now clearly in view. I’m delighted something is clear because how I’m going to get there? If you’re new to The Writing Process 2015, these posts are a chance to share my journey through my latest novel, starting right at ground zero. What do you get when you cross promotion and creativity? Nothing simple, that’s for sure. Truthfully sometimes you get a cranky novelist who loses the thread when she’s writing her new book because she’s still thinking about last year’s book that just hit stores. These posts are a chance to share my journey through my latest novel, When We Were Sisters, starting at ground zero. Today let’s talk about the dreaded sagging middle. Just so you know? I have nothing valuable to say about diets, aging or new exercises to tighten your abs. But since I’m in the middle third of my latest novel, I thought I might share a few thoughts about that. If you’re new to The Writing Process 2015, these posts are a chance to share my journey through my latest novel, starting right at ground zero. Today let’s talk about finding the right details for your story. We’re about to pull our biannual house switcheroo. This means that we are entertaining a steady stream of visitors and phone calls.